The geranium on my balcony seems oblivious to the rest of nature, which is preparing for winter. It just keeps blooming and blooming… I had no idea that geraniums were so cold hardy — it’s still putting out buds for new flowers. 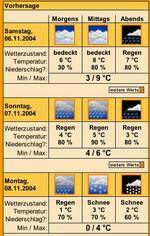 The sun may be shining at the moment, but the weather forecast looks ominous… below freezing on Monday, and maybe a little snow (schnee!!! My new German word for the day). I’m not taking a chance; the geranium is coming indoors!! !